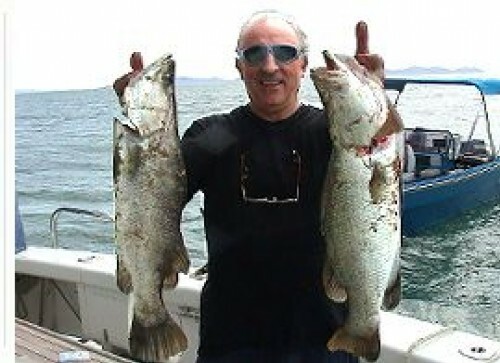 Narooma Game fishing – Due to its close proximity to the edge of the continental shelf (Narooma is the closest point on the mainland to the continental shelf), big fish are yours for the catching. There’s marlin, one of the fishermen’s prize trophies. There’s yellowfin tuna, and albacore. If you want to catch something smaller, there’s always lots of snapper, tailor, flathead, and much, much more out by Montague Island. Fight against one of the big kingfish near the island, or the bonito as they try to outwit your skills. 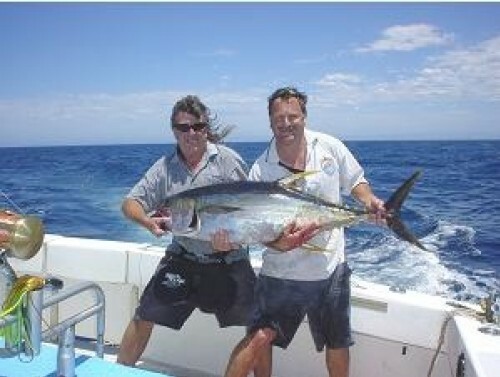 Lighthouse Charters Narooma will cater for all your gamefishing experiences. Inclusions: There is a gamechair for gamefishing, and all our equipment is of high quality. The top name lures that we use have proven themselves over and over again. Our lines and tackle are all of IGFA tournament quality. The name Narooma means ‘clear blue water’ to the local Yuin people. The clean waters of the ocean, and of Wagonga Inlet, are just the start. Narooma and its whale watching, fishing, kayaking and snorkelling is only three hours south of Sydney. Whale watching and the other activities are only seven hours east of Melbourne. Narooma provides the perfect location to enjoy fishing, game fishing, estuary fishing, snorkelling amongst the seals, kayaking, whale watching and much more from Canberra, Sydney and Melbourne. The offshore fishing and snorkelling at Montague Island, and fishing and kayaking in Wagonga Inlet are a delight to all locals and visitors to the Narooma area. Montague Island Nature Reserve – an internationally recognised reserve, with seals, fairy penguins, and during the migration season, whales. Since the areas around Narooma and Montague Island have been declared a marine national park, the fish have been increasing in numbers, and in size. There will now always be plenty for everyone. 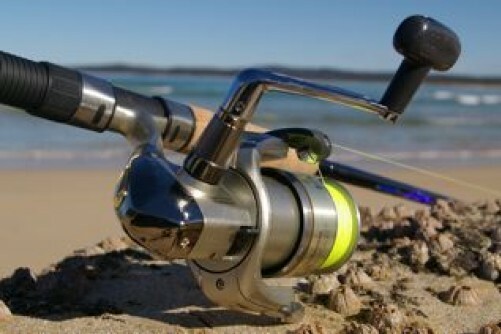 With water on both sides of Narooma, fishing is naturally a popular pastime with local residents as much as with visitors. Take Lighthouse Charters Stage 11 boat to the edge of the continental shelf and try your luck with those big ones – marlin, tuna and kingfish. Other water activities include snorkelling amongst the seals, and kayaking in Wagonga Inlet. And of course, Lighthouse Charters will take you whale watching during the season from September to November each year. Stage ll charter boat is a 36-foot custom built fibreglass vessel powered by twin 200 horsepower turbocharged diesel engines. There is a gamechair for gamefishing, and all our equipment is of high quality. The top name lures that we use have proven themselves over and over again. 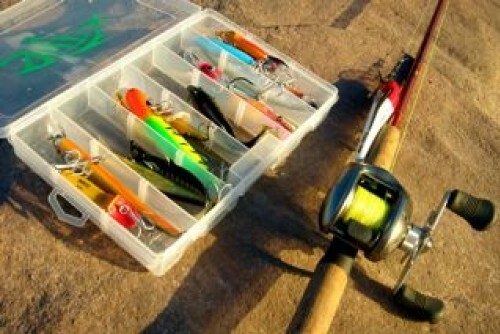 Our lines and tackle are all of IGFA tournament quality. Visiting Narooma? Narooma has all the facilities visitors would expect from a well-developed seaside town. There are clubs providing entertainment, and restaurants, many specialising in locally caught fresh seafood, including oysters. There’s the Narooma Shopping Plaza, numerous speciality shops, and a good range of facilities to make your visit to Narooma rewarding. The climate is mild, even in winter, and seldom hot in summer. In summer, the temperatures range from 17 degrees to 27 degrees, and from 8 to 19 degrees in winter. No wonder locals say the area has the perfect all-year-round climate. Narooma provides a good range of accommodation to make your stay in Narooma comfortable, from camping grounds and holiday parks, boutique B and Bs, motels and cabins. Accommodation in Narooma can be arranged – please contact us to discuss your needs. The Batemans Marine Park is the newest and greatest natural asset in the Narooma area for nature lovers, fisherpersons, snorkellers, and those wanting a truly eco experience. The park covers an area of 850 square kilometres (85,000 hectares), from north of Batemans Bay, to Wallaga Lake near Bermagui in the south. It includes estuaries, rivers, lakes, and of course the whole coastline out to about five kilometres off shore, and the World Heritage listed Montague Island. The marine park contains a diverse range of aquatic habitats, including the continental shelf area and the sea floor, beaches, rocky shores and headlands, reefs and islands, and sea grass beds, mangroves and estuarine habitats. And because all commercial trawling and dredging activities are banned within the marine park, this means that the fish numbers are increasing at an astounding rate, with more fish to see when you snorkel, and more fish to catch when you go fishing. At Lighthouse Charters Narooma, we give you more than just a trip in our boat. We give you a real eco experience you will remember for long after you return home. We will take you whale watching to witness the humpback whales, the southern right whales, and maybe a giant blue whale, as well as the orcas (the killer whales). You will watch their acrobatic displays close up. You won’t just see whales … you will experience them … all in the marine park. And we will give you a real eco experience when we take you kayaking on some of the many lakes we have in the Narooma area … Brou Lake, Mummuga Lake, Corunna Lake, Wallaga Lake, and of course Wagonga Inlet. With the increase in fish numbers and the preservation of the natural habitats, you will be able to enjoy seeing fish in their natural environments … more of them, and more often. The environments preserved in their natural condition attract fish species that belong there. You won’t just see them, you will experience them, all in their natural environment in the marine park, and close up. You will interact with the fish as they come up to you as you snorkel, and watch them interact with other life in their own environment.